Most awaited news for all the people in Bangalore location. Interested candidates can utilize the opportunity by participating in Philips Walkin Drive. The officials from Philips Lighting India Ltd ready to hire graduate candidates for Software Developer Role. Candidates can access all the particulars about Philips Walkin Drive in Bangalore and can be aware of the info like eligibility criteria, pay scale and required skills. Philips Walkin Drive Software Developer Job Openings is one stop dynamic opportunity for both Freshers and Experienced candidates. 1.4 How To Apply For Philips Walkin Drive? All the information related to Philips Walkin Drive For Software Developer role is clearly equipped in this article. Interested applicants can visit and prepare Placement Papers and Interview Questions by tapping on the link. The competition will be very tough in so we suggest the candidates prepare really hard to get placed through Philips Job Openings 2018. On the basis of their performance in the selection rounds, students will be placed in the respective post with the finest pay scale. Job aspirants shall make a note that recruiters are looking out for the people who are having minimum 4-9 years of experience. Performs the role of a Specialist by ensuring the consistency and efficient integration of the separate modules of software that meets the product specification. Ability to stay focused on the target in an ambiguous situation. For over 120 years, Philips Lighting has been at the forefront of innovation. We use light to make people feel happier and safer – light that entertains, inspires, and informs, makes cities more livable, and satisfies people’s daily needs. 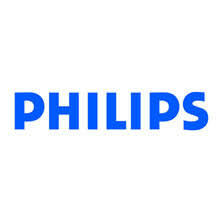 Philips pioneered the development of high-quality, energy-efficient LED lighting. We are now taking lighting into a fully digital world that connects people, places, and devices. We use the transformative power of light to make people more comfortable and productive– providing high-quality light in public places, professional spaces, and at home. Using a combination of patented technologies and open standards, our lighting innovations will connect seamlessly to benefit our customers and the environment. We foresee a day, shortly, when all our lamps, luminaires, and system devices will be digital and network-ready. How To Apply For Philips Walkin Drive? To know furthermore updates bookmark our site Freshersnow.com.